Q) In 2015, what percentage of claims do you think were paid out for life insurance, critical illness cover and income protection insurance across all major UK insurers? To answer the question simply use the scroll bar on the Drewberry site to enter the percentage of claims that you think were paid out on the quoted insurance types in the year 2015. 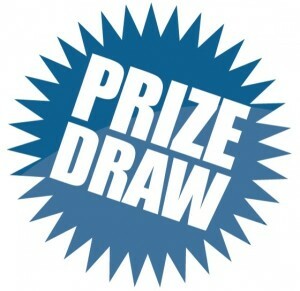 You will then receive an automatic entry into the draw, just by submitting an answer. In other words, even if you get the answer wrong you’ll still be in with a chance of winning the £500 prize, so it’s got to be worth a few seconds of your time, hasn’t it? Why Have Drewberry Chosen This Question? You may be wondering why Drewberry have chosen this particular question for their prize draw. The answer is that, as an insurance provider, Drewberry are well aware that there are many myths and misconceptions about insurance companies and whether they really do pay out on valid insurance claims. Drewberry will be hoping that when people find out what percentage of claims are actually paid out by the major UK insurance firms, it may go some way to restoring faith in the industry and the value of these financial products, adjusting peoples long held views. While you have to take care to make sure that you are taking out the right type of cover for your individual circumstances when you are looking into protection insurance, it certainly is a useful type of cover in a variety of circumstances. The important thing is that we as individuals continue to educate ourselves as to the ins and outs of these various kinds of cover, so that we can be sure of exactly what level of cover we have in place, how the cover works and also what this level of cover entitles us to in the way of a potential pay-out. This way we will avoid any potential disappointment if a claim is made and we don’t receive quite what we were expecting to receive. Home Insurance ~ Do you know what you’re covered for?